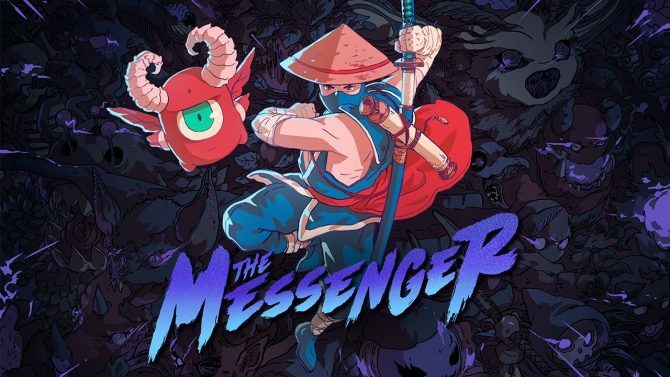 The Messenger is one of my favorite games from last year as it is so cleverly designed both from a gameplay and story standpoint. 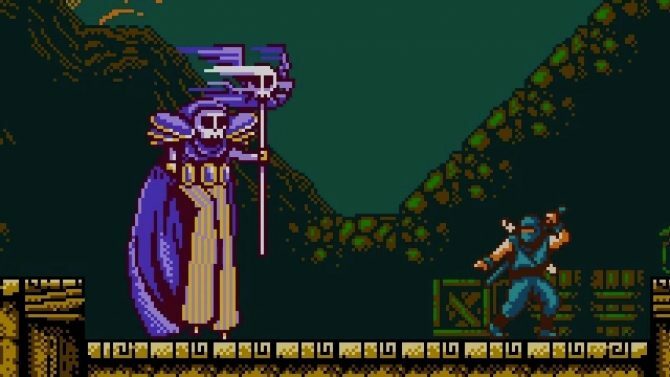 What seemed like a cool gimmick with the instantaneous 8-bit to 16-bit transitions becomes a story point that adds both Metroidvania and light puzzle-solving elements to what was seemingly just a Ninja Gaiden inspired action-platformer. It expertly crafts a story around its challenging gameplay creating a truly satisfying and absolutely joyous experience. Also, who could forget the Shopkeeper, the true best character from 2018 (I’m looking at you Kratos). 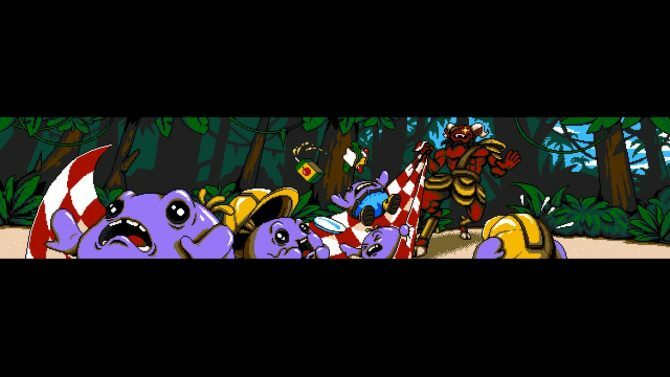 The wild world of The Messenger is back with the new free expansion Picnic Panic, which brings the titular Messenger to a bright and colorful new island location with some old friends and new foes. I played a very small slice of the new expansion which, like its predecessor, proved to be very challenging and a lot of fun. 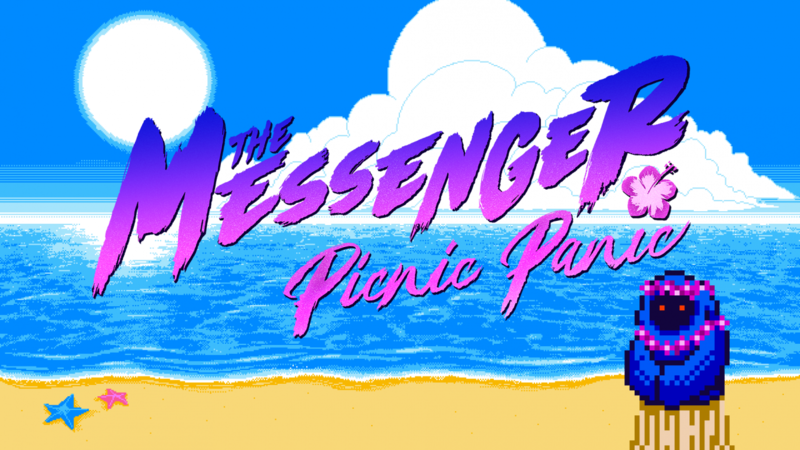 In The Messenger: Picnic Panic, the Demon General Barma’thazël is back and has kidnapped the Phobekin as they were enjoying a nice picnic on Voodkin Island. While the act seems pretty standard up front, this is obviously a catalyst to lure the Messenger to the island where Barma’thazël will enact his plan to get his revenge. The demo begins as you are transported next to the Elder, the Messenger’s teacher from the last game. After a bit of playful banter, the Elder tells you that a “very tall” and “apparently evil” being is at the docks (where the base game begins) and has a proposition for you. As you make your way to the docks, the nostalgia kicks in as you are running the beginning tutorial portion from the base game but in the opposite direction. The NPCs who have dialogue bring back that self-aware fourth wall breaking humor as they tell you that you don’t need a tutorial. Once you make it to the end of the dock, you are greeted by Ruxxtin, the short staff-wielding Catacombs boss. Upon meeting him, you find that he has found some stilts, giving him the height he always wished he had. He tells you he will take you to Voodkin Island if you bow before him. Right after he proposes his deal, tentacles appear from the water and sweep the stilts off Ruxxtin’s feet. The proposition then switches from bowing before him to helping him get his stilts back because he has a date. You agree and jump on his skull ship and start your trip to Voodkin Island. A large part of why The Messenger is so enjoyable is the dialogue. Just about every character’s dialogue is humorous and always gave me a good chuckle, especially the Shopkeeper. From the Elder to Ruxxtin, it is obvious that Sabotage is bringing back that humor in The Messenger: Picnic Panic. Even in this small slice, I found myself chuckling at every line. The gameplay portion of the demo involved you and Ruxxtin surfing to Voodkin Island. Evoking the same treachery of the Battletoad’s bike level or Teenage Mutant Ninja Turtles: Turtles in Time’s Sewer Surfin’ level, a multitude of obstacles are in your way as you travel to the island. There are certain obstacles, like the puffer fish and the bamboo stalks, that will actually aid you if you in a couple of ways. If you use the dash button, which can be spammed as much as you’d like, while hitting the bamboo stalks or puffer fish, you’ll initiate a continuous boost that will only end when you’ve either stopped hitting those obstacles or hit a boulder. You can also jump onto the puffer fish and get some air which helps with avoiding dangerous obstacles. Unlike Battletoads or Teenage Mutant Ninja Turtles: Turtles in Time, you can only move along three lanes rather than moving freely. This “restriction” actually helps tighten the gameplay. Instead of a messy free-for-all, it feels more akin to a rhythm game than the beat ‘em up games that inspired it. 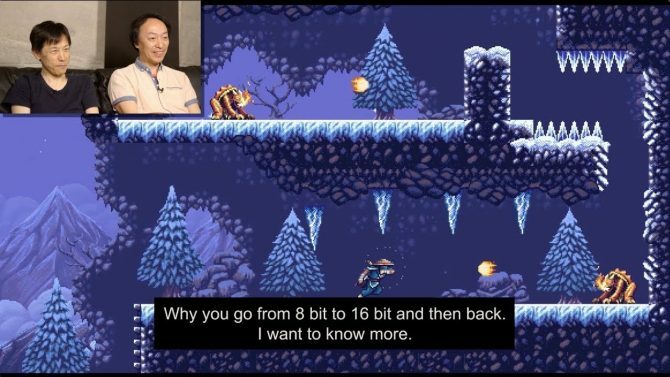 It was still the same difficulty you would expect from The Messenger, but it never felt unfair. Any time I got hit, I saw my mistake and knew what I had to do next time. As you approach the level’s end, the creature that took Ruxxtin’s stilts appears and tries stop you from making it to Voodkin Island. Like the bosses from the base game, the octopus boss has its own specific attack pattern that can be learned by trial-and-error. This particular boss’s attack pattern wasn’t hard to learn so it wouldn’t surprise me if someone beat it first try. It can still be a challenge, especially in the second phase when the boss starts spawning boulders for you to avoid. I liked that it implements everything I learned from the level into the boss fight. It made that fight feel natural and ensured that I had a chance against this semi-difficult beginning boss. What I played is such a small part of The Messenger Picnic Panic. Honestly, I couldn’t tell you if my time with it is indicative of what the entire update will be. I can say that this beginning part was really fun and it made me want to play The Messenger all over again. 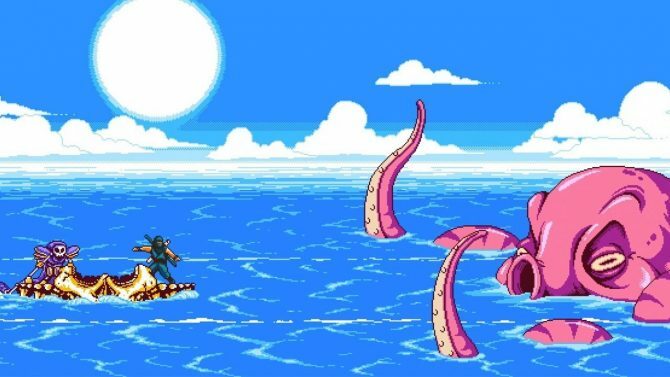 With Rainbowdragoneyes back bringing new music to the expansion along with new gameplay twists like this surf stage, Picnic Panic seems like it’ll be a fun return to The Messenger’s ever-growing world. 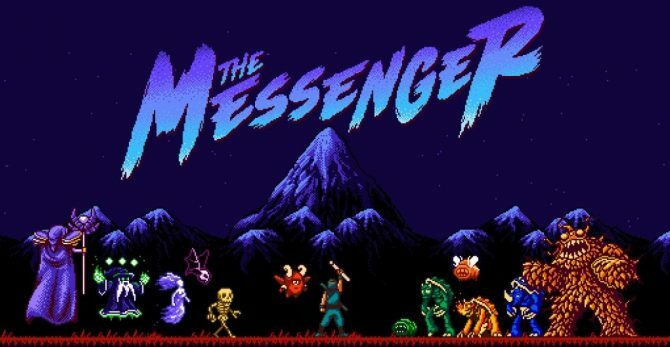 The Messenger is currently available for PS4, PC, and Nintendo Switch, with The Messenger: Picnic Panic set to come to both platforms later this year. Sabotage Studio has revealed that The Messenger is set to hit a PS4 near you on March 19.